Here’s the truth about 20 generals “defecting” and joining the Cheaper Syrian Army: Only one is an active general. The others are all retired military men. The Turks have joined the campaign of disinformation and they are doing a bad job. To this day, all polls in Turkey indicate a popular unhappiness with Erdoghan’s policies on Syria. In the South of Turkey, which used to do a brisk business with Aleppo, citizens are grumbling about the length of time they will have to wait to be rid of this Islamist freak. 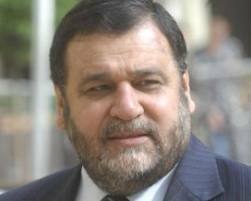 KHALID DAHER, LEBANESE M.P., RABID HARIRI LAPDOG, AND GUN RUNNER MUST GO. In interview after interview with captured terrorists in Syria, the name of Lebanese Member of Parliament, Khaled Daher, keeps being mentioned as a major conduit for the smuggling of weapons to terrorists inside Syria. That he is a member of Hariri’s “Mustaqbal” or “Future” movement cannot be denied, but, he appears to have cornered the market on supplying Syrian and foreign terrorists with weapons to be used against the Syrian people and security establishment. The money is said to be flowing in from Saad Hariri himself in Paris and the Saudi Kingdom of Wahhabist Child Molesters. WANTED DEAD OR ALIVE. THIS BLOKE HAS GOT TO GO, ONE WAY OR ANOTHER. Please, Dr. Assad, give his file to As’ad Hardan and let’s be rid of this hyena. Thank you from the staff of SyrPer.